On Your Feet UK Tour tickets are now on sale. The smash hit Broadway musical about Emilio and Gloria Estefan will play a limited UK tour following its season at the London Coliseum. 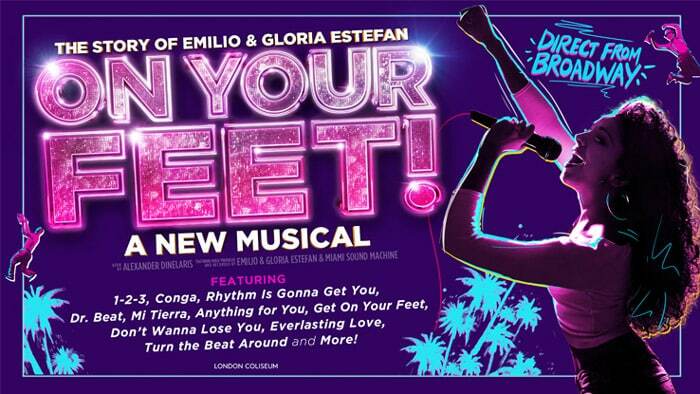 Gloria and Emilio Estefan’s smash-hit musical comes to London and UK regional theatres direct from Broadway for a strictly limited season. On Your Feet! is the inspiring true love story of Emilio and Gloria and charts their journey from its origins in Cuba, onto the streets of Miami and finally to international superstardom.